A teardrop or cascading bouquet is a very traditional design. These bouquets are for a bride who is looking for something a bit traditional with a modern twist. Bayside bridal bouquets can design a unique bouquet to your tastes, using the flowers and colours of your choice. Modern oriental Lillie, Singapore orchid bouquet. 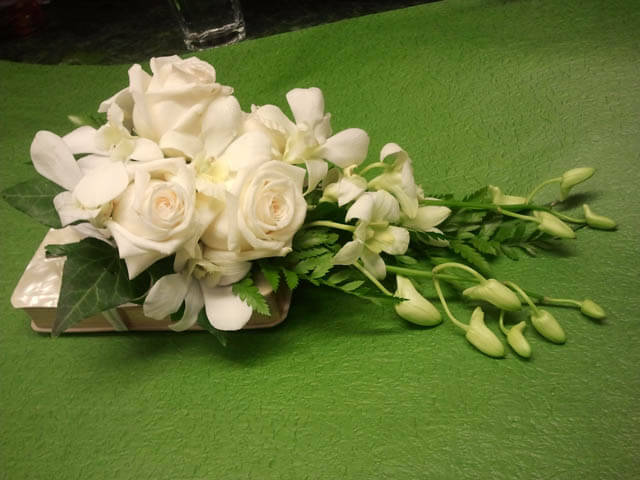 This entry was posted in Bayside Weddings and Events and tagged #bouquets, #cascading, #teardropbouquet.